Pottery bowl, the edge partly waved and pierced, decorated with underglaze blue and brown and slip with a pine branch. The exterior similar. 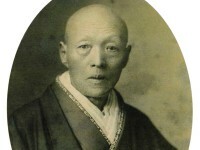 In the manner of Dōhachi. Signed: Kōzan. 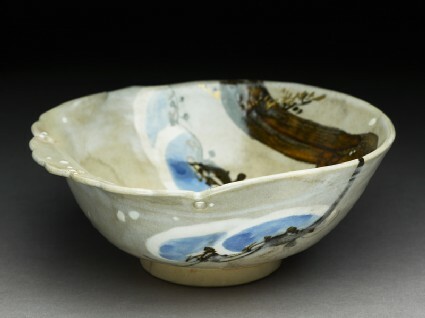 After the death of Kōzan I, Hanzan, by then Kōzan II, went through a period of the making of wares for Japanese use, usually related to the tea ceremony, in the manner of Nin'ami Dōhachi (1783-1855), a remote follower of Nonomura Ninsei (c. 1574-1660/6), using broad calligraphic style decoration on asymmetric shapes, and slip decoration.